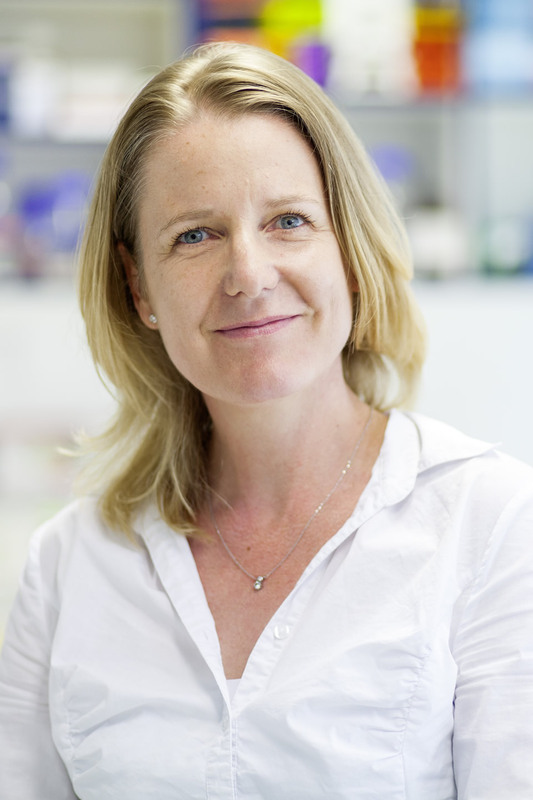 Helen Morrison’s research lab is interested in the processes of nerve regeneration, the nature of cell communication, and the mis-wiring of signaling pathways in disease and in the aging process. We focus on age-dependent signaling impairments underlying nervous system maintenance and regeneration, and in disease mechanisms for disorders of myelinating cells and nervous system tumors. These disease areas represent a great medical need and our work aims to perform translational work in each area. We use a multidisciplinary approach that includes structural, cellular and mouse models. We study the tight control of the activation state of small GTPases; these proteins are central to many key biological processes. Our interest in small GTPases was prompted by an observation that members of a family of actin-binding proteins – the tumor suppressor protein neurofibromin 2 (merlin) and the putative tumor promoters ezrin, radixin and moesin (ERM) – act as counterplayers in Ras activation. Merlin is inhibitory, while the ERM proteins appear to enhance Ras activity. These regulatory structures present a novel aspect in the type of signal transduction relevant in cancer and in all physiological processes involving Ras. The picture shows a regenerating peripher nerve one week after a crush injury. 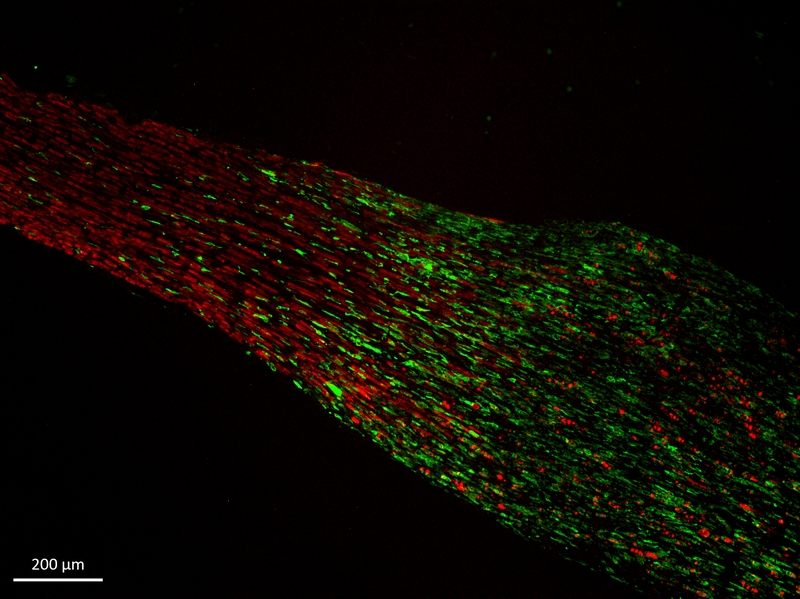 Stained in red is P0 (Melin Protein Zero) as a marker for normally differentiating Schwann cells. Stained in green are p75 (also known as "Low-Affinity Nerve Growth Factor Receptor“) as Marker for "Repair Schwann Cells".